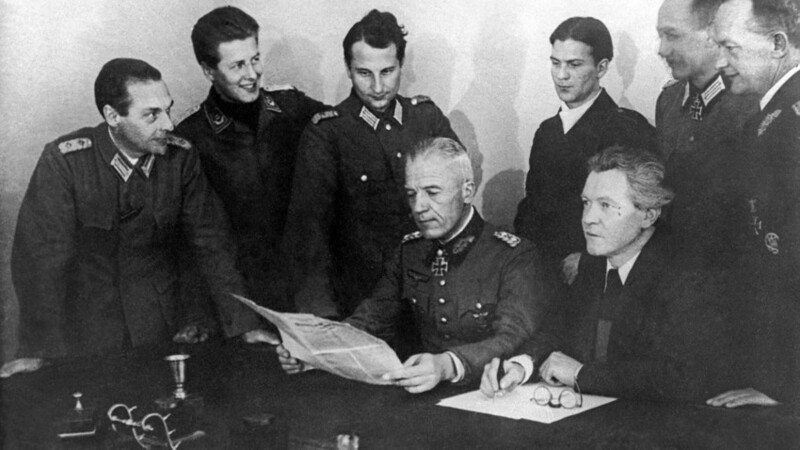 Chairman of the League of German Officers, former Wehrmacht General Walther von Seydlitz-Kurzbach (L seated). During WWII, the Nazis were sure that they were clashing with the so-called “Seydlitz’s troops” fighting on the Soviet side. 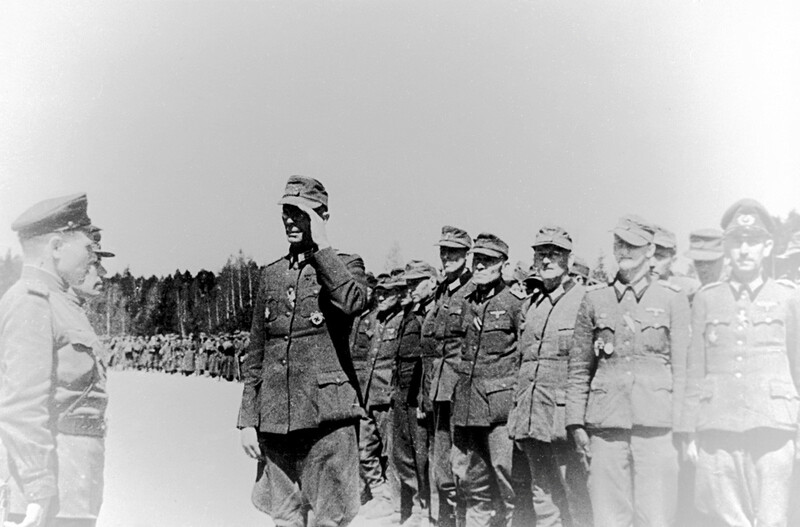 They believed these were freed German POWs under the command of the former Wehrmacht general Walther von Seydlitz-Kurzbach, who had defected to the Soviets. Still, the reality was quite different. General Walther Kurt von Seydlitz-Kurzbach was considered a perfect tactician in the German Wehrmacht. His decisive actions broke the Soviet blockade of the 2nd Army Corps in the Demyansk Pocket in early 1942, an operation that was highly regarded. When the 6th Army, in which Seydlitz commanded the 51st Corps, was surrounded at Stalingrad in November 1942, he expressed his readiness to break this encirclement as well. Still, his requests to General Friedrich Paulus to allow the breakthrough were rejected. Paulus stubbornly followed Hitler’s order forbidding any retreat. After several useless attempts to convince his commander, Seydlitz decided to take the initiative in his hands. Ignoring subordination, he wrote directly to the commander of the Army Group B Colonel General Maximilian von Weichs: “To remain inactive is a crime from the military viewpoint, and it is a crime from the point of view of responsibility to the German people”. Weichs never replied. Friedrich Paulus (R) und Walther von Seydlitz-Kurzbach. Then Seydlitz mustered part of his troops to make a breakthrough, but without support from the rest of the German army, such action was doomed. When the general was captured by Soviet troops on January 31, he was full of anger and disappointment at Paulus and Hitler. When Soviet officers first attempted to turn Seydlitz at the POW camp, they found fertile ground. 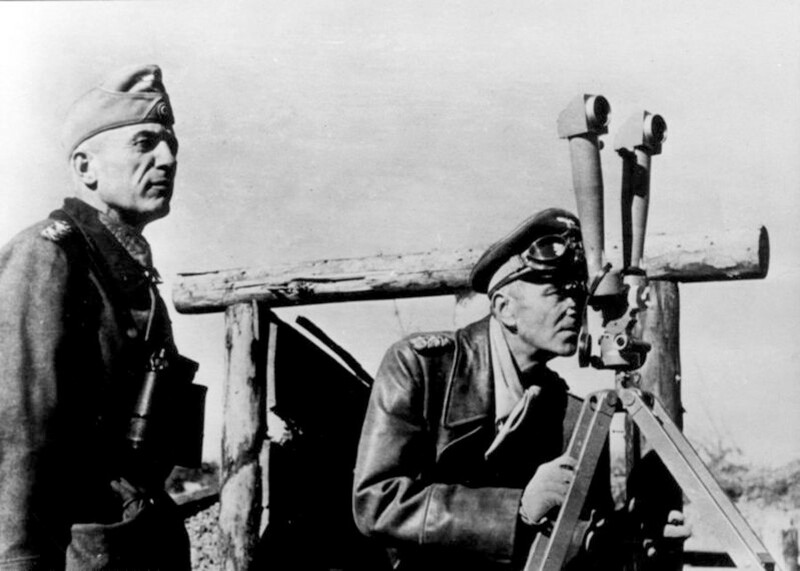 The general was highly disillusioned by the German leadership and shocked by the Stalingrad catastrophe. Along with 93 officers, Seydlitz formed a League of German officers, where he was selected as president. He also became deputy chairman of the National Committee for a Free Germany, led by German Communists. Seydlitz’s activity mirrors that of General Andrey Vlasov, a captured Soviet general who defected to Germany and led the so-called Committee for the Liberation of the Peoples of Russia. Walther von Seydlitz actively took part in the propaganda war. He tried to convince the German commanders that Hitler had betrayed Germany by allowing the catastrophe at Stalingrad, that they had taken an oath to their land, not the Fuhrer. Seydlitz’s messages didn’t find a receptive audience among the Wehrmacht generals. However, his call to Konigsberg’s defenders to lay down their weapons accelerated the capitulation of the garrison in April 1945. The most important wish and purpose for Seydlitz was to form German units which would fight the Nazis along with the Soviets on the battlefield. But such permission had to be granted by Stalin. Seydlitz’s troops: myth or reality? Despite Seydlitz’s numerous requests, Stalin never allowed any military formations to be established out of German POWs. They were used only for construction works in the rear. The Soviet leadership was very suspicion of ethnic Germans, even its own citizens. Volga Germans were under constant observation, often moved from the front lines to the rear, and were even expelled from their homes to Siberia and Central Asia in 1941. As for former Nazis, some of the defectors filled the partisan ranks, such as former Gefreiter Fritz Schmenkel, who was even awarded the title of Hero of the Soviet Union. But these were isolated cases. Forming a military unit out of German POWs was out of the question. Thus, Seydlitz never succeeded in creating a Soviet equivalent of Vlasov’s Russian Liberation Army. By contrast, Romanian POWs’ request to create their own formations to fight alongside the Soviet Army was approved, and two Romanian infantry divisions were established. 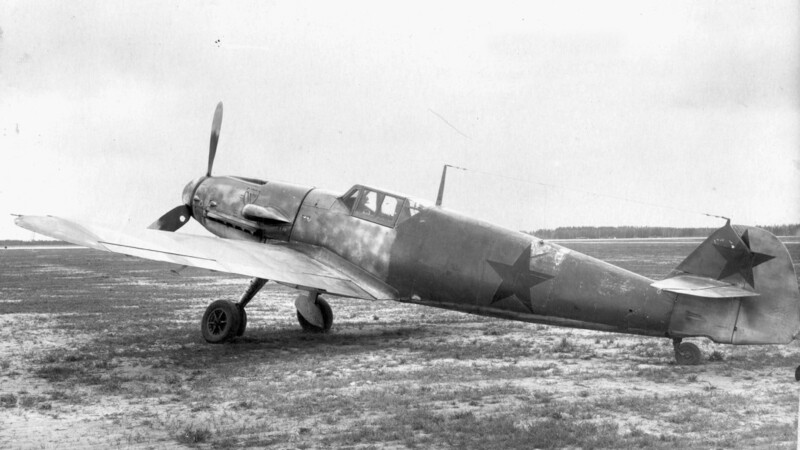 Still, the Nazis believed they had met and fought “Seydlitz’s troops.” They were sure that the trophy Fw-190 and Me-109 emblazoned with red stars used by Soviet pilots to scatter propagandistic leaflets and for reconnaissance missions were led by Seydlitz’s German pilots. Helmut Altner, a young soldier who defended the Third Reich’s capital in its last days, recalled in his memoirs Berlin Dance of Death that along with the Soviets Berlin was stormed by “Seydlitz’s troops in German uniform with awards and red banners on their sleeves. I can’t believe it — Germans against Germans!” (link in Russian) Helmut never saw them himself, but was told by tank crews. However, there are neither any documents in the Russian and German archives, nor official information about the existence of such formations. Seydlitz’s army was a myth and never existed. As for Seydlitz’s destiny, he fared much better than his counterpart, General Vlasov. After spending some time at a prison camp, he died in the GDR in 1976. The less fortunate Andrey Vlasov was executed in Moscow in 1946. Why did the Soviet Union win the Battle of Stalingrad? Here are 3 reasons.